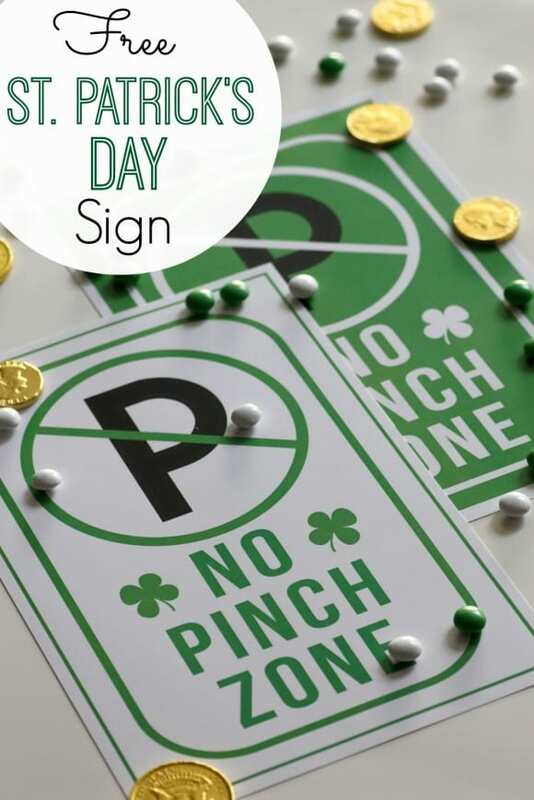 Today we're giving away a set of adorable and free St. Patrick's Day party printables that Lisa from Candles and Favors has designed for us. I love the little leprechaun! 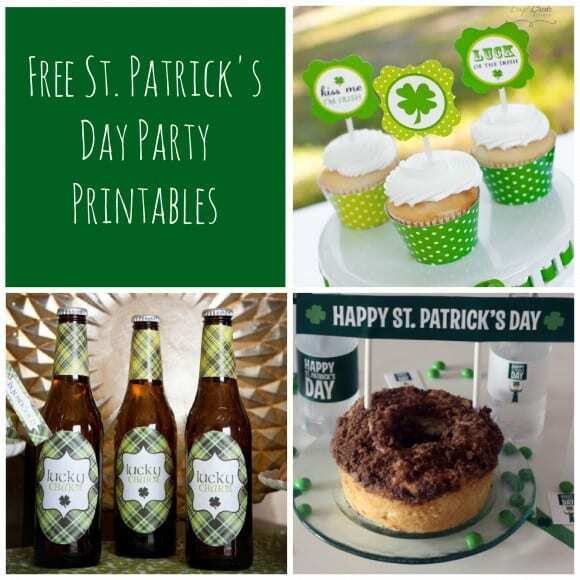 Need Free St. Patrick's Day Party Printables? We have these three full collections of St. Patrick's Day printables for you! Just download the files, print them out, cut them out, and and decorate! 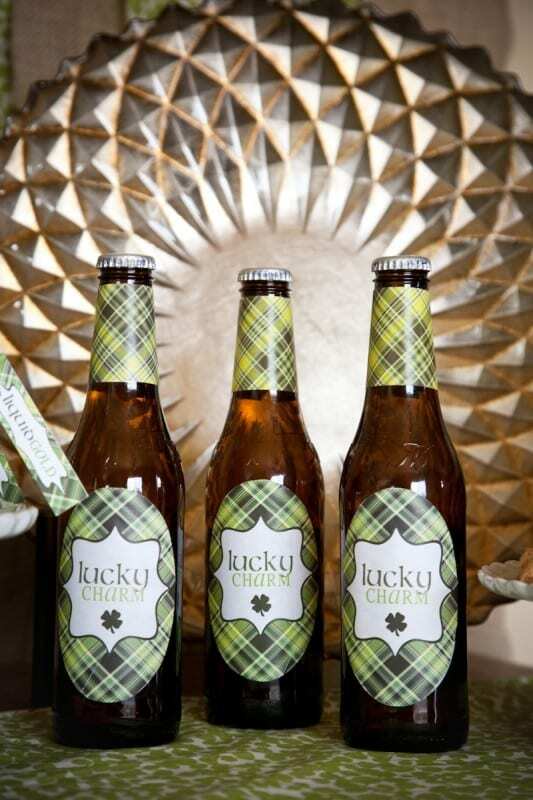 As St. Patrick's Day nears, I thought I'd share these fantastic St. Patrick's Daty parties from our site! Wait until you see how creative people have gotten with this holiday! 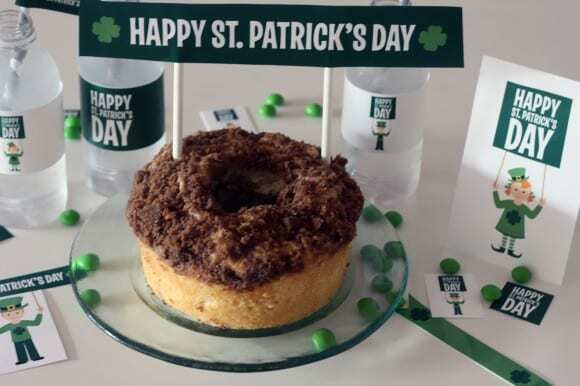 Looking to host a St. Patrick's Day party this year? 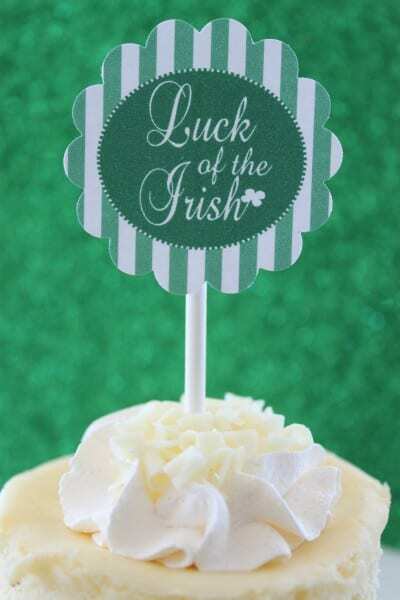 Then take a look at these adorable "Luck of the Irish" free printables Denise at Simply Create Designs made exclusively for us! The collection includes: a "Lucky" banner, bottle cap party circles, cupcake toppers, cupcake wrappers, tented cards/food labels, water bottle labels, a 4 leaf clover decoration, two 4x6 table signs, and straw flags. We're excited to be giving away these "Little Children" St. Patrick's Day printables designed by Ana of Love Party Printables. 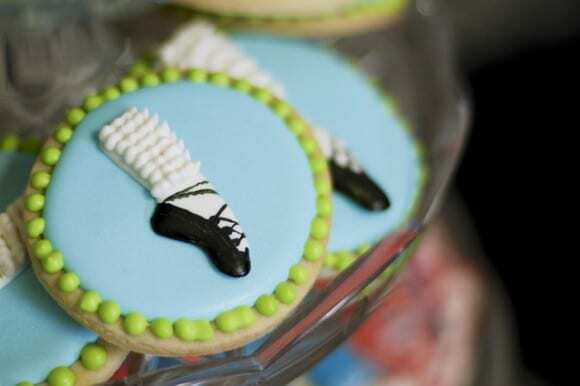 What better way to throw a St. Patrick's Day party than with these adorable party decorations. 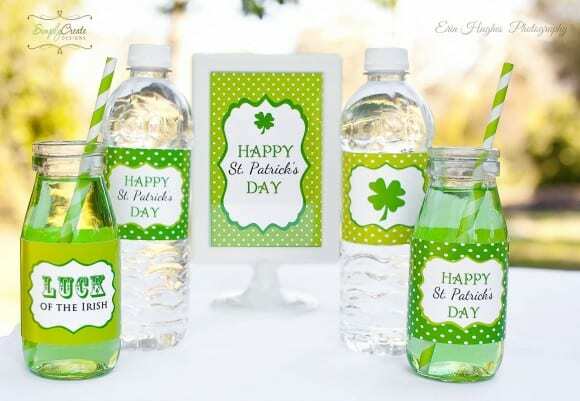 The collection includes: straw flags, cupcake toppers, napkin rings, a “Happy St. Patrick's Day” banner, water bottle labels, tented cards (2 sizes), invitations, gift tags, labels, favor tags, and mini cake bunting. Meredith at MJ Paperie created this collection of "Preppy Plaid" St. Patrick's Day printables, and we must have the luck of the Irish because we get to give them away! Thank you, Meredith! The collection includes: cupcake wrappers, drink flags, cute food tents, rectangle bottle labels, round bottle labels, and pinch charms. 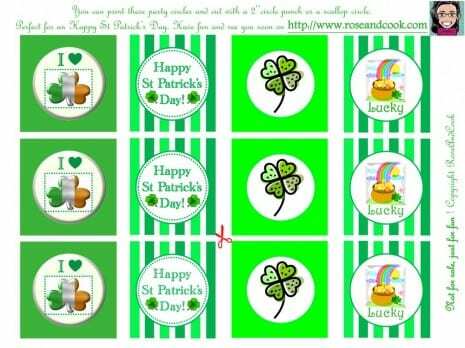 Brady from 9 to 5 Mom designed these delightful FREE St. Patrick's Day printables and we get to give them away!! We must have the luck of the Irish! Thank you, Brady!! How great would these party circles look at your St. Patrick's Day party, decorating your cupcakes, favors, candy, or even strung together as a garland. St. Patrick's Day is coming fast and we want to help you decorate your party, so here are some FREE party circles that Rose A from Rose & Cook generously designed for us to give away. Thank you, Rose!